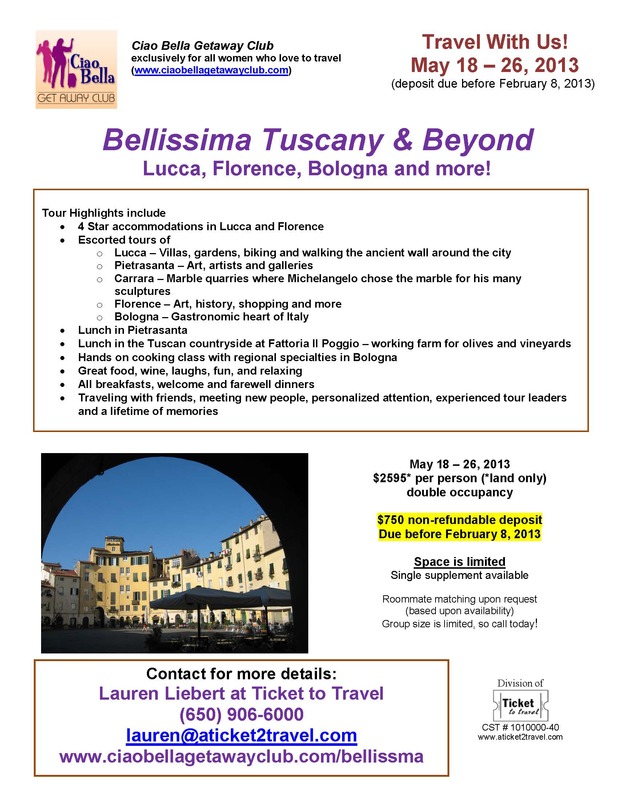 Italy Trip – For Women Only! | TRAVEL-rrific! I am sure you will enjoy Italy and, of course, Lucca! I completely agree! The group will be staying at a lovely hotel within the ancient walls of the city. We have made certain that all of the Bellas will have a great time and great tour guides to make sure they get the most out of this wonderful trip. Really looks like fun! I’m going for sure! « GREAT NEWS!!! BIG BIRD & THE REST OF THE SESAME STREET GANG HAVE FOUND EMPLOYMENT…in Jamaica and the Turks & Caicos Islands.